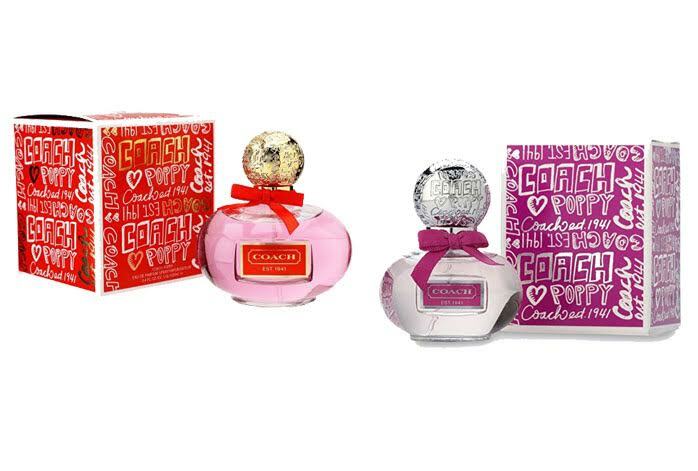 Coach Poppy has become one of the most popular fragrances for women on the market. The product is immensely loved by a lot of consumers due to the sweet smell that is suitable for a variety of occasions, from daily wear to romantic dates. However, Coach Poppy also comes in some other variants, and one that is very similar is Coach Poppy Flower. The two are available in a similar price range. So, what are the differences between Coach Poppy and Coach Poppy Flower? Which is the one that is the most suitable for you? Coach Poppy comes in a red packaging with a translucent pink bottle. Coach Poppy is typically known for the very sweet smell. Compared to Coach Poppy Flower, Coach Poppy smells somehow more mellow and fruitier. This is because Coach Poppy comes with citrus and bright cucumber top notes, with a variety of flowers such as jasmine, rose, and water lily in the middle notes, also sandalwood, vanilla, and marshmallow base notes. The sillage and longevity are considered moderate. On the other hand, Coach Poppy Flower comes in a purple packaging and a purple translucent bottle. Coach Poppy Flower also smells sweet, but it smells very floral and fresh. The featured ingredients of the notes include more fruits and flowers indeed. The top notes include citruses and currants, while the middle notes are sweet flowers like rose, jasmine, and peony. Musk, sandalwood, and amber serve as solid base notes. The sillage and longevity are somewhere between weak and soft and moderate. However, the overall scent feels more refined and elegant. Both Coach Poppy and Coach Poppy Flower are excellent fragrances, and choosing between them largely depends on your personal preference. Coach Poppy is sweet, mellow, and fruity, and is suitable for all seasons of the year. Meanwhile, Coach Poppy Flower is more fresh and floral. Coach Poppy Flower is also quite flexible and versatile, but especially excels in spring and summer!